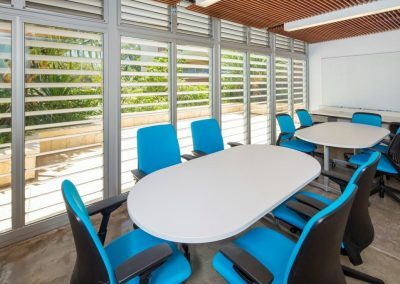 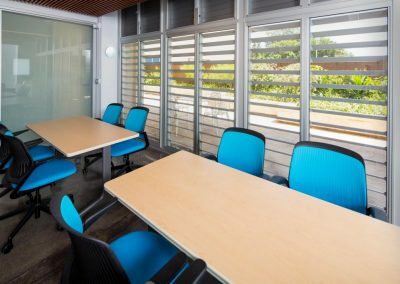 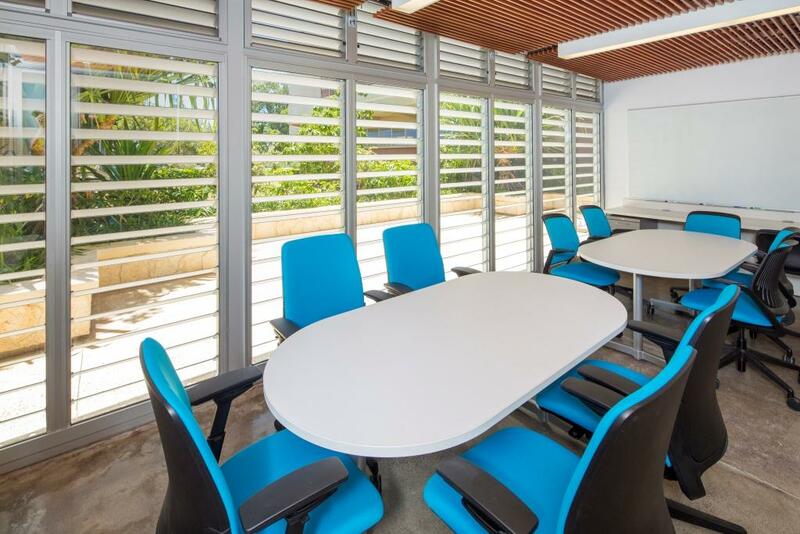 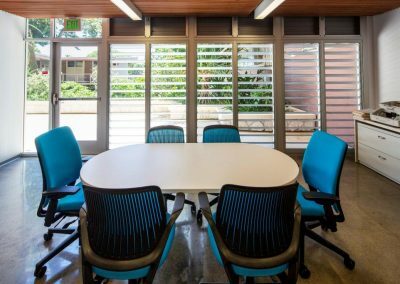 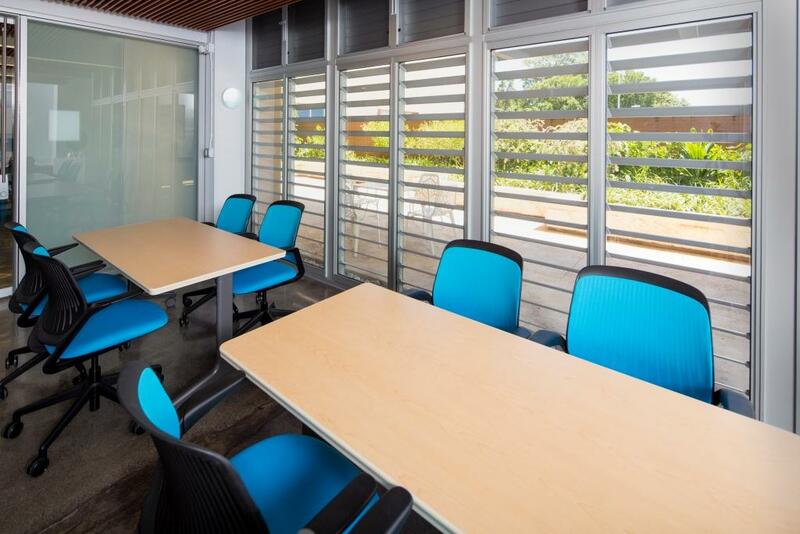 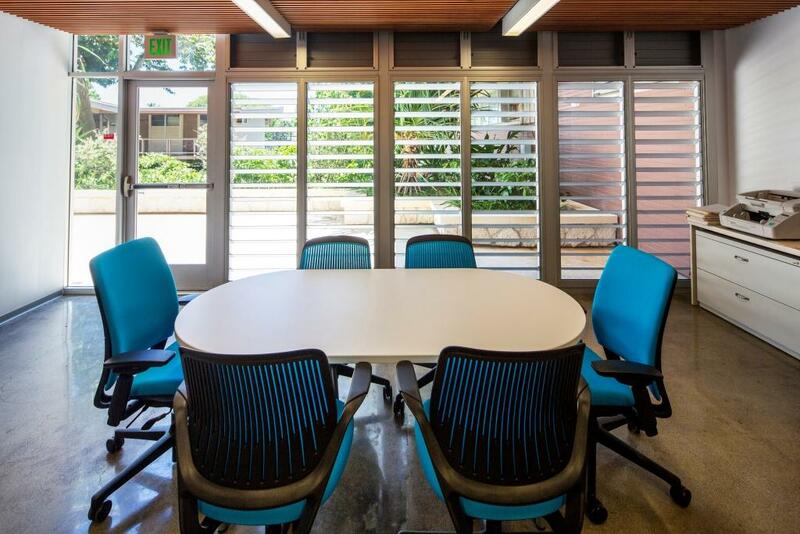 The Gregg Sinclair Library at the University of Hawaii has been recently renovated by Urban Works Architects. 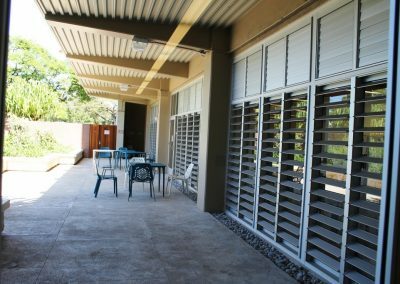 Old-style jalousies were removed from this well renowned building and replaced with new generation Breezway Louver Windows. 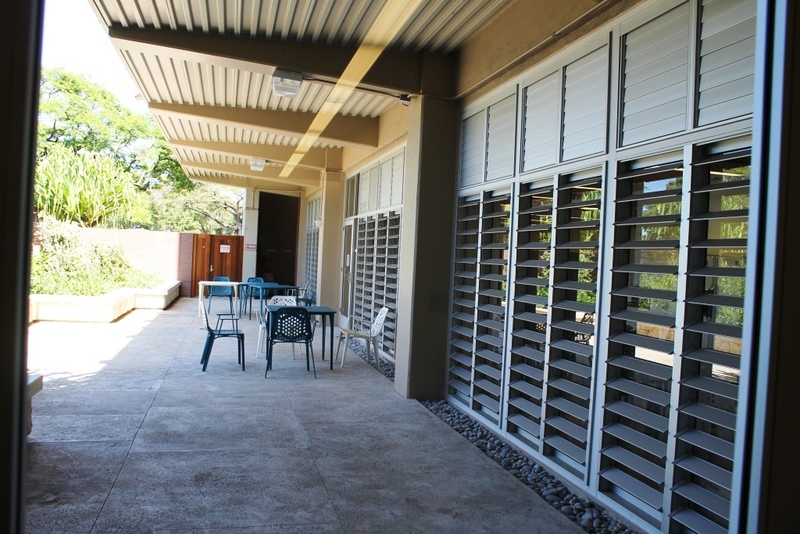 The Breezway Louvers allow for a historical, aesthetic style to be maintained, yet are now much more functional. 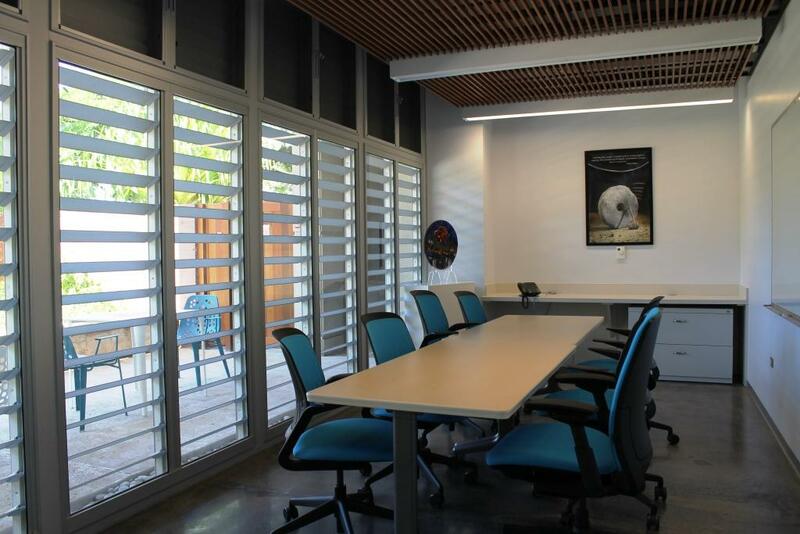 A custom-made Breezway window system with fixed aluminum louver blades was designed for the exterior of the lower level so it can provide solar shading for the fixed windows on the interior while still allowing plenty of natural light to filter into the space. 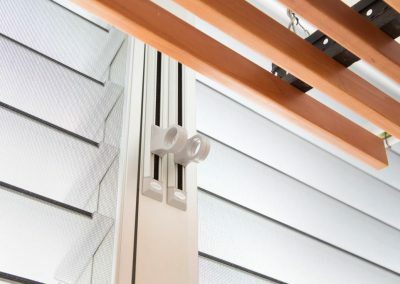 In addition to this, blades are angled so that birds cannot nest on them. 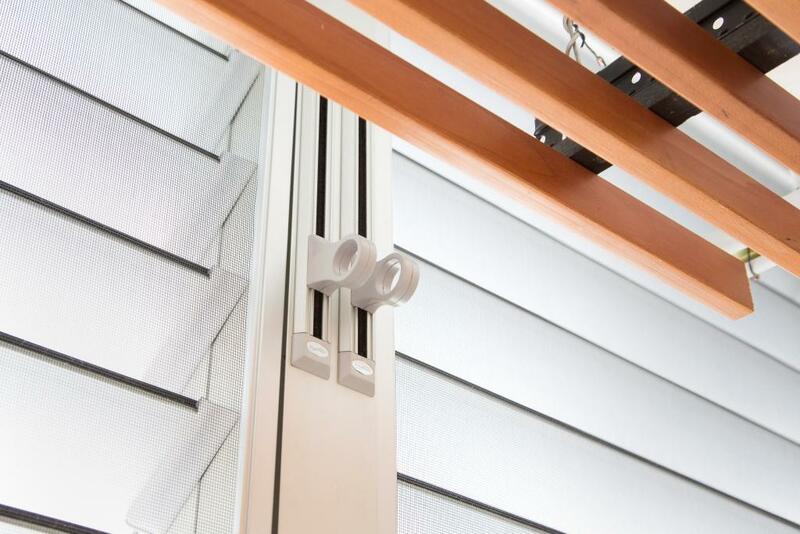 The higher level louver windows are in a Breezway ios Window Frame with an inside screen installed. 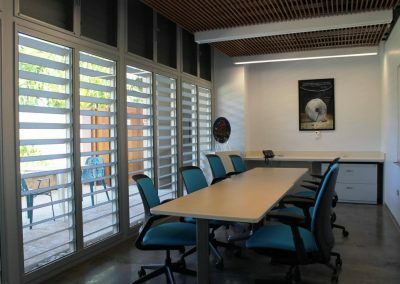 The internal screening allows blades to be open if the power goes out in the building and natural ventilation is required (without the worry of bugs or insects coming in and bothering the students).